As per the 2nd Tourism Satellite Account (TSA) of India – 2009-10 and subsequent estimation, the contribution of tourism in total employment of the Country during 2009-10, 2010-11 and 2011-12 were 10.2%, 10.8% and 11.5%, respectively. This information is not available for 2012-13 and 2013-14. The Ministry of Tourism has advised the State Governments/UT Administrations to follow tourism friendly policies like allotting land sites on revenue sharing basis, granting extra Floor Space Index (FSI)/Floor Area Ratio (FAR) for Hotels, Creation of Land Banks, Single Window approach for promoting Hotel Projects, Rationalization of Taxes etc., for the growth of tourism sector in the country. (i) Five Year Tax Holiday for 2, 3 & 4 star category new hotels located in all UNESCO declared ‘World Heritage Sites;’ (Except Mumbai and Delhi) which start operating between 01.04.2008 to 31.03.2013. (ii) An investment linked deduction under Section 35 AD of the Income Tax Act extended for new hotels of 2-Star Category and above anywhere in India to facilitate the growth of tourist accommodation in the country. (iii) In a notification dated October 7, 2013, the Ministry of Finance expanded its “Harmonized Master List of Infrastructure Sub-Sectors” to include such hotels and Convention centres for benefit of Hospitality Industry. Hotels with a project cost of Rs.200 crore and above each at any place in India and of any star rating, and Convention Centre with a project cost of more than Rs.300 crores has been included in the “Harmonised Master List of Infrastructure Sub-Sectors”. This is equivalent to granting infrastructure status to the hospitality industry. (iv) The Reserve Bank of India (RBI) has de-linked credit for hotel projects from Commercial Real Estate (CRE), thereby enabling Hotel Projects to avail credit at relaxed norms and reduced interest rates. (v) External Commercial Borrowing (ECB) norms relaxed by the Ministry of Finance to solve the liquidity crunch being faced by the hotel industry for setting up new hotel projects. This information was given by the Minister of State for Tourism (I/C) ShriK. 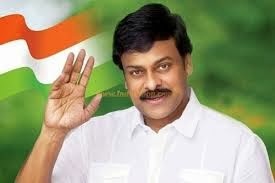 Chiranjeevi in a written reply in the Lok Sabha.